After a conversation recently, I got the impression I needed some remedial practice – something to remind me of the usefulness of boundaries. buddha41 is the outcome of setting the frame of practice and working through what the hell is happening on this journey of going nowhere, being no one. Yes, I’m frustrated and angry and really not feeling much faith in what I’m doing or who I am. End of pity party. Please take the empties and leftovers as you leave. 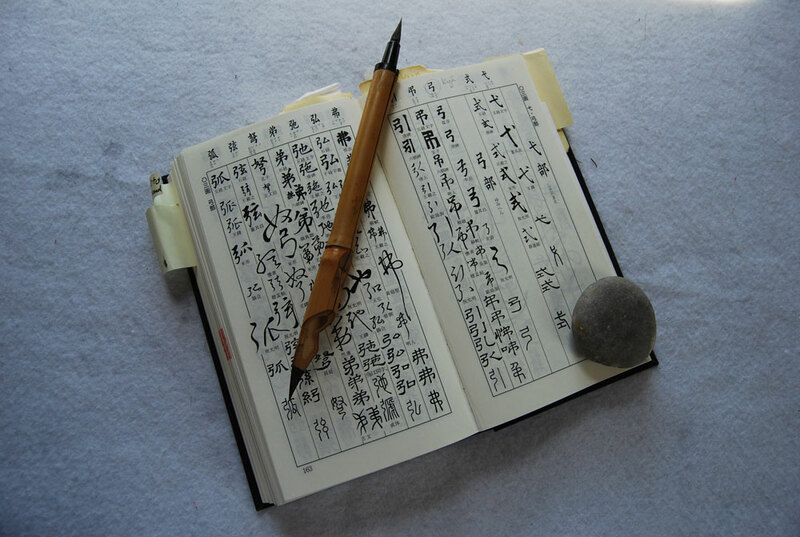 Zen practice is no different from calligraphy practice. In Zen, we go from the 2.5 sq feet of mat and cushion to the vastness of the life we inhabit. With calligraphy, we start with a frame to define the space in which the character must develop and move into vast canvasses and variations. Traditionally, the practice sheet is a grid of 9 x 15 squares which are also outlined to highlight units of 3 x 3 squares. The little squares allow practice of the character itself. There’s not much room to fake it in one square inch. The larger 3 sq in squares allow for composition and a bit more freedom of expression. I chose the 1 x 1 inch squares and counted off 108 squares, a 9 x 12 grid. The intent was to see where my attention drifts and where my entitled mind kicks in. Square #1 is the answer. First character in the first upper left corner got me off on the wrong foot. It looks like “Buddha” but it actually isn’t; it’s what I’ve been practicing for the last few months, a swooping set of lines which may suit the post-of-the-day but is not the intent of this exercise. By square #25 (circled), I realized I had not even started the project honoring the intent. Square #26 corrected that. Such is practice, I suppose. We start out with all our skills sharpened on other desires and are blind to the fact that the starting point is not when an event touches our life any more than when the brush touches the paper in this moment. It began sweeping its downward arc long before this singular desire, this moment of wanting something to emerge from the joy and mess we’re in. Correct it in the next moment. Attention held well for the next 27 squares and I decided I need to let go of the wrist support (starts with the second circle outline). It’s not a really bad habit to brace on my wrist when I’m using a small script brush but the actual skill is in the brush tip being the only contact – and fulcrum of balance. Shaky, insecure, uncertain strokes invited the peanut gallery of Inner Critics. Then the fear and grasping kicked in: I can’t do this without more support. I NEED more… more… more. Not asking for or taking what is neither offered nor available is a deep practice. And I rarely see it as applicable to what I ask of myself too. Correct it in the next square. By the third outline circle, I’m ready to fly solo with variations. All kanji characters have variations drawn by the Old Masters. There’s a dictionary-like book of them – a lexicon of pretzel lines and ancient scripts . I neither speak nor write Japanese so I’m pretty proud of being able to find the variations of different characters. Sometimes I get it wrong or I can’t find the version I need. Such is practice too. 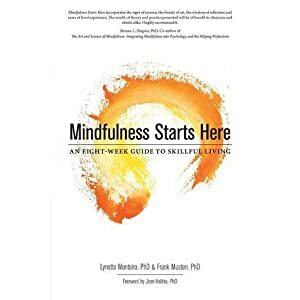 Zen centers, Zen traditions, Zen teachers, Zen concepts – the language of communities is as complex as their practice preferences and the variations are all in a format which takes persistence to decode. I find myself leaning into some variations but, as with this exercise, I devote time to as many as I can before settling on one… or two, remembering all the while that while the flesh and bones vary, the marrow is the same. On the last line, I choose the formal script and become hyper-focused – yet the mind has wandered off – until I realize I’ve lost the grid and am drifting up into the previous lines. 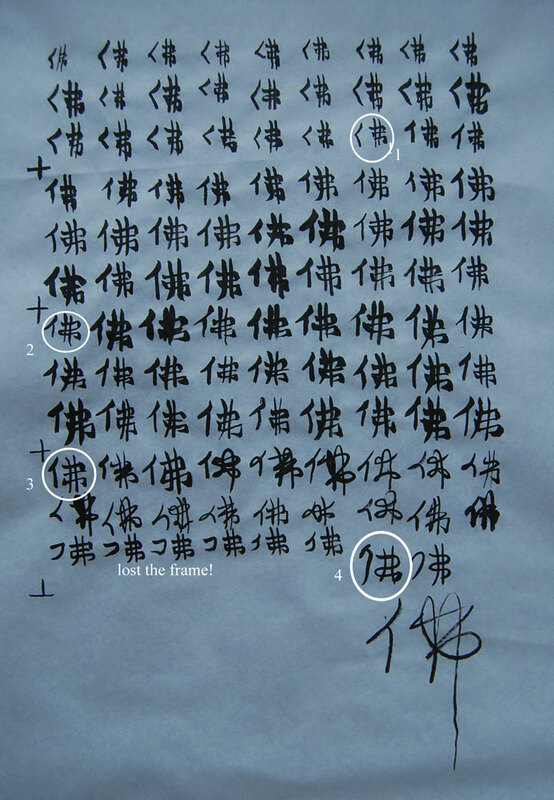 I reset using two of the last three squares (fourth circle outline) for a seal script – the ancient style used to inscribe characters onto hard surfaces like tortoise shells and wood. This is where I am in practice: returning to the source teachings, seeing that the grid of discipline has faded from the paper and that the drift says I still need these constraints. Still, that’s not going to stop my rebellious 108th character from falling totally outside the wire! This entry was posted in 108 thoughts, reflections and tagged 108Buddhas, brush art, practice. Bookmark the permalink. Isn’t it interesting how “right” and “wrong” serve a function? Until they don’t? a lovely description of your practice on the calligraphy page and that reflects the twists and turns of daily life of practice out in the world. I especially love the Zen one liner, got a great chuckle out of it, “The intent was to see where my attention drifts and where my entitled mind kicks in. Square #1 is the answer. ” I think you have a future as a Zen stand up comedian!